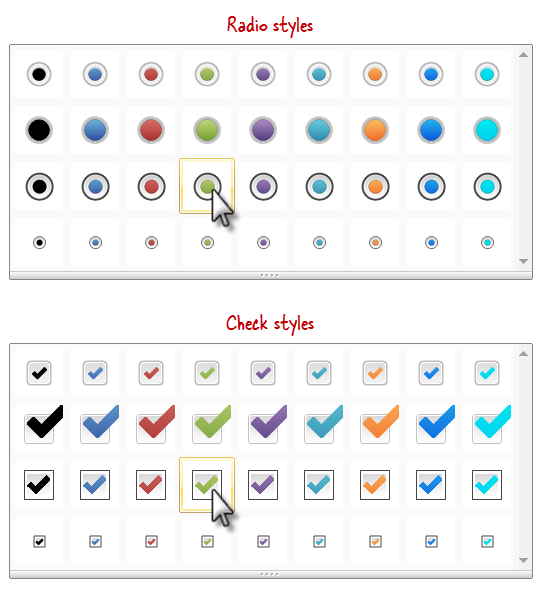 Several question types in Articulate Quizmaker use radio buttons or check boxes for answer choices. Want to change their default style or formatting? No problem! Use the Radio Styles or Check Styles drop-down to choose a variation. Tip: The color choices come from your quiz's design theme. To change your theme colors, see this tutorial. Or, see the next section in this tutorial to define custom fill, border, and radio/check colors. 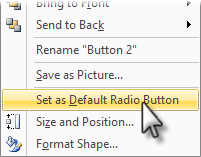 Radio Fill/Check Fill: Select one of the Theme Colors or Standard Colors to fill the background of the button. For a transparent background, choose No Fill. If you don't see the color you want, choose More Fill Colors to define a custom color. 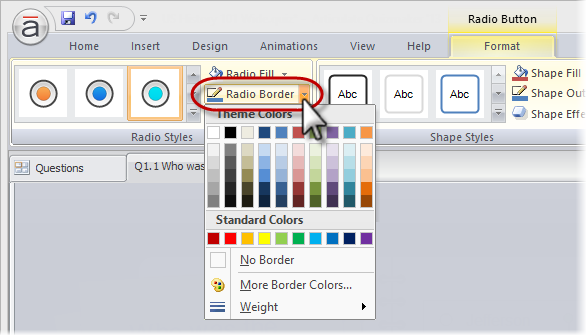 Radio Border/Check Border: Select one of the Theme Colors or Standard Colors for the button's border. If you don't want an outline for the button, choose No Border. If you don't see the color you want, choose More Border Colors to define a custom color. To change the thickness of the border, choose a Weight. 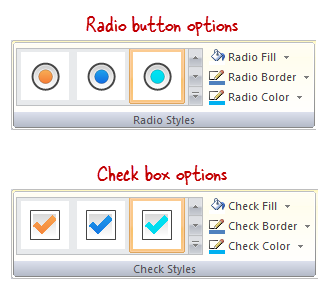 Radio Color/Check Color: Select one of the Theme Colors or Standard Colors for the radio button or check mark. 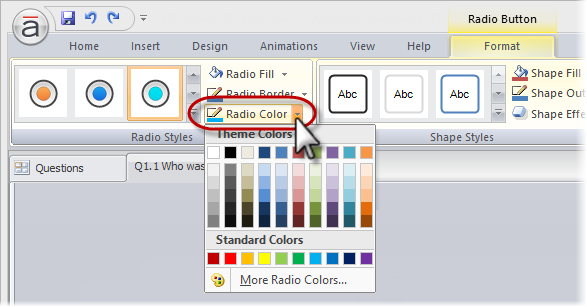 If you don't see the color you want, choose More Radio Colors or More Check Colors to define a custom color.